The Goal Zero Nomad 13 Solar Panel quickly and efficiently turns sunshine and light into electricity. Great for charging most electronic devices, including satellite phones, smartphones, tablets, GPS devices and cameras. 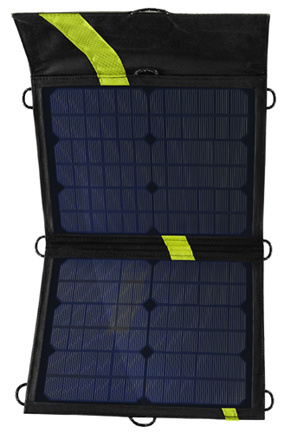 Nomad 13 Solar Panel can be used with Iridium, Thuraya and Inmarsat satellite phones and terminals (vehicle charging adapter is required for use).